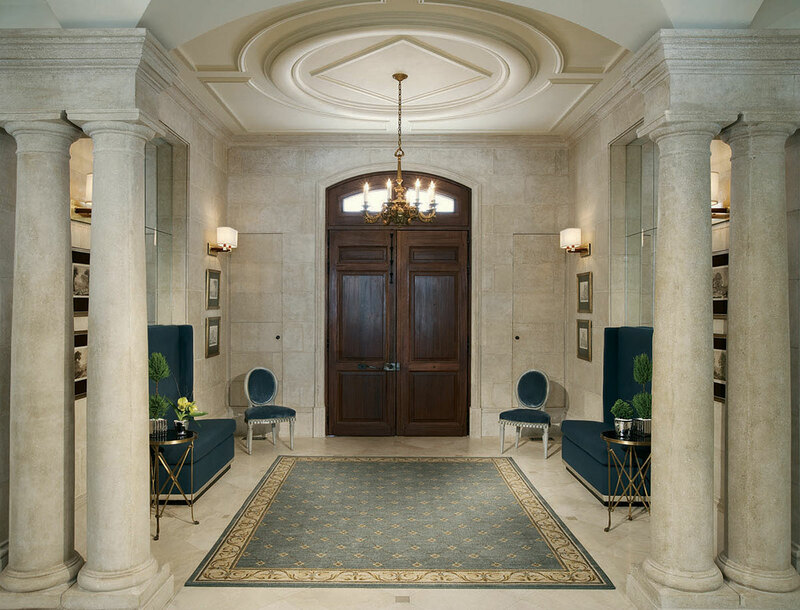 Constance McGlynn is an interior designer in Garden City, New York, who enjoys working with oriental rugs. “In fact,” she says, “there is no room in which a rug cannot be used!” Her thoughts and advice are the result of many years working with a myriad of colors, patterns, and textures. Of the three major components in room decorating (walls, floor, and furnishing), your floor covering is often the largest single design statement. 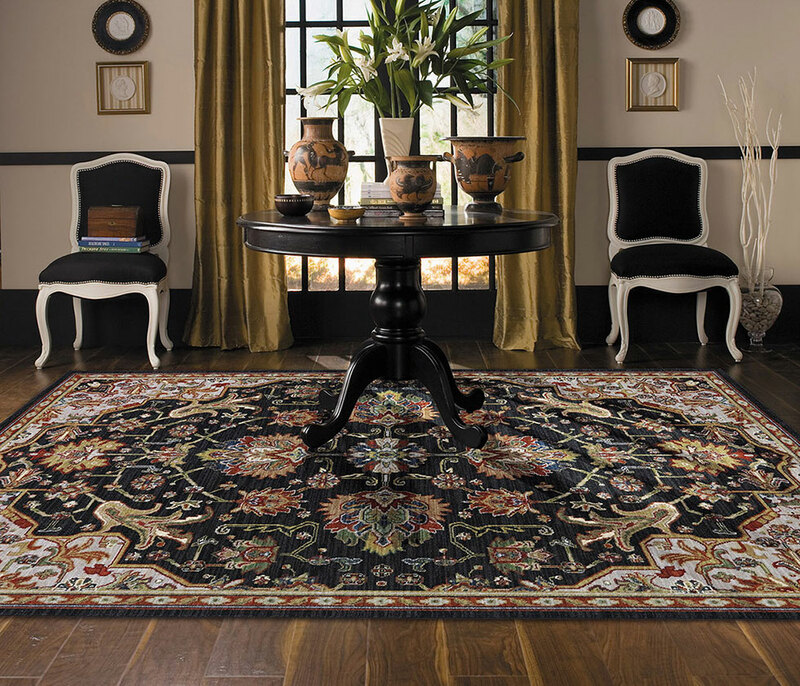 A well-chosen rug will, at a glance, define the personality of a room. 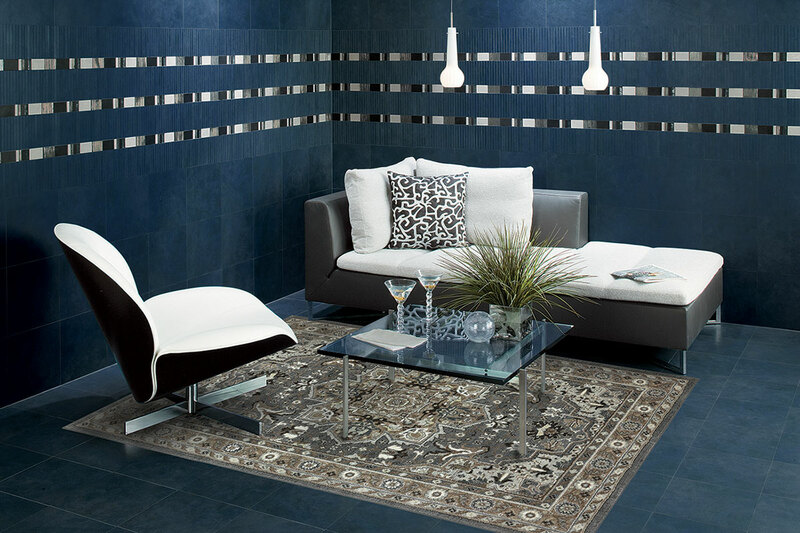 Furniture and wall decoration may make bold statements in and of themselves, or may combine together to create the atmosphere you desire, but the floor covering is, in a sense, a back-drop to the proceedings. 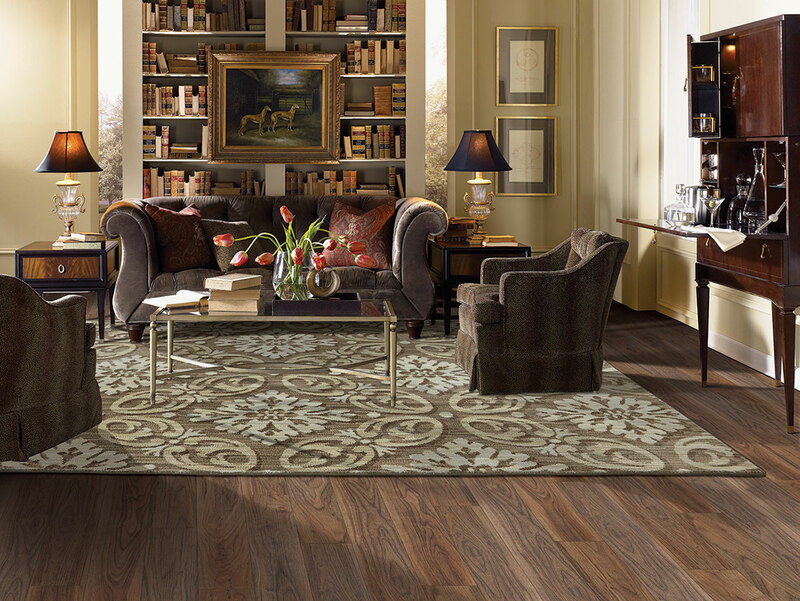 Defining a room’s use will start to define its look, and will help start to narrow your choice of floor covering. A “formal dining room” will certainly have a different personality than a ” casual family room” or “country kitchen.”the floor covering is, in a sense, a back-drop to the proceedings. Anticipating a room’s use also has a very practical function: some rugs may be better suited to high traffic and activity areas than others. 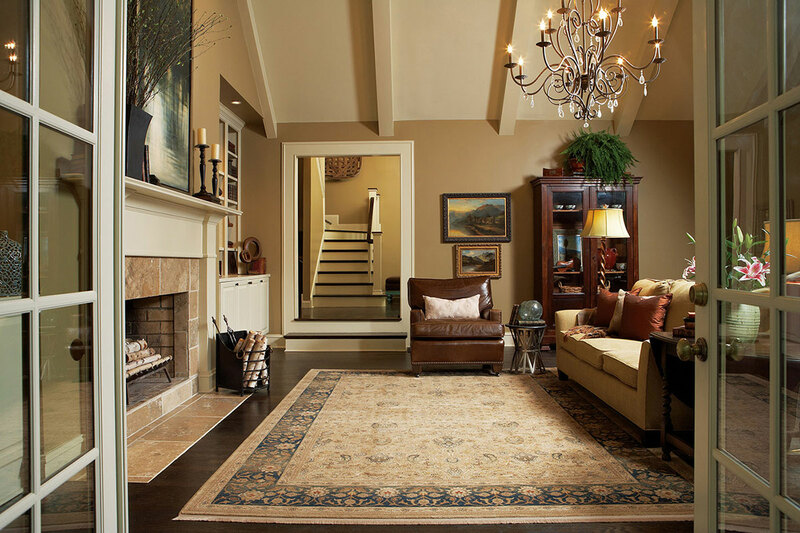 A dark colored rug, for example, will hide the dirt between cleanings more readily than a light colored rug and might be considered for a kitchen, family room, or entry way. 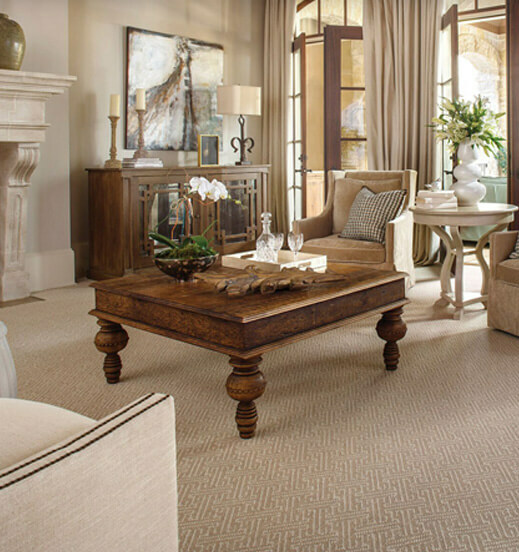 A light colored rug, on the other hand, will help a small room seem a little brighter.the floor covering is, in a sense, a back-drop to the proceedings. A room should delight-and reward the senses, and a well-decorated room is made up of a balance of color, texture, and pattern.the floor covering is, in a sense, a back-drop to the proceedings. Color, in this sense, means value: light, medium and dark. You want a little of each. Different values give depth and interest to a room. A predominance of any one value will end up feeling a little “flat.” Think of value in terms of a good snapshot-a good picture isn’t underexposed (too dark) or overexposed (too light). Beautiful photographs have a complete tonal range from dark to light.. Designers use a variety of words to describe texture: the “touch,” the “face,” the “feel.” Juxtapositions of texture create interest (hard and soft, smooth and coarse) but be wary of extremes: velvet upholstery doesn’t contrast with and complement berber carpeting, it clashes! Finally, patterns are infinite in their variety. Florals, geometrics, stripes, plaids, and tiny repeat patterns (“minis”) are only the most common. With patterns, “scale” is the key: avoid a predominance of any one kind. For example a large floral patterned sofa and a striped arm chair on a repeat geometric pattern rug provide the right amount of visual contrast and balance. 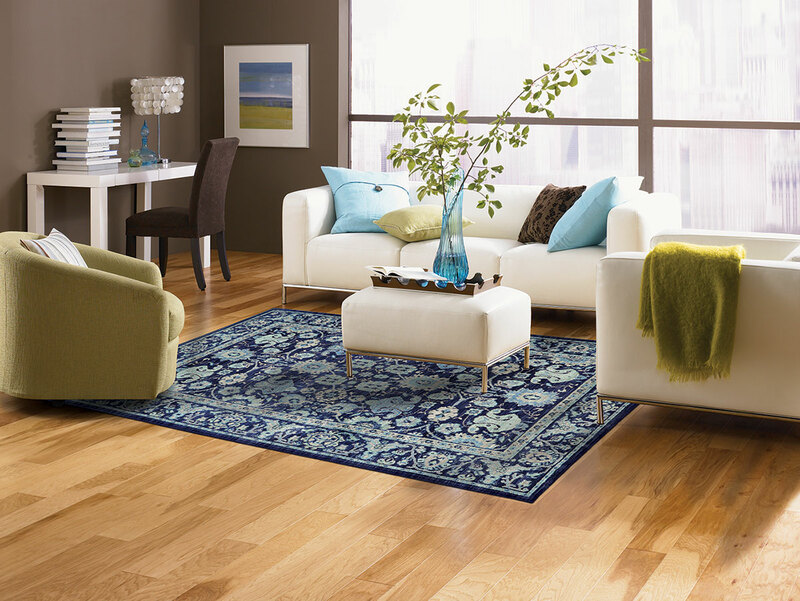 The variety of rug designs and colors offers the home decorator complete freedom and flexibility. 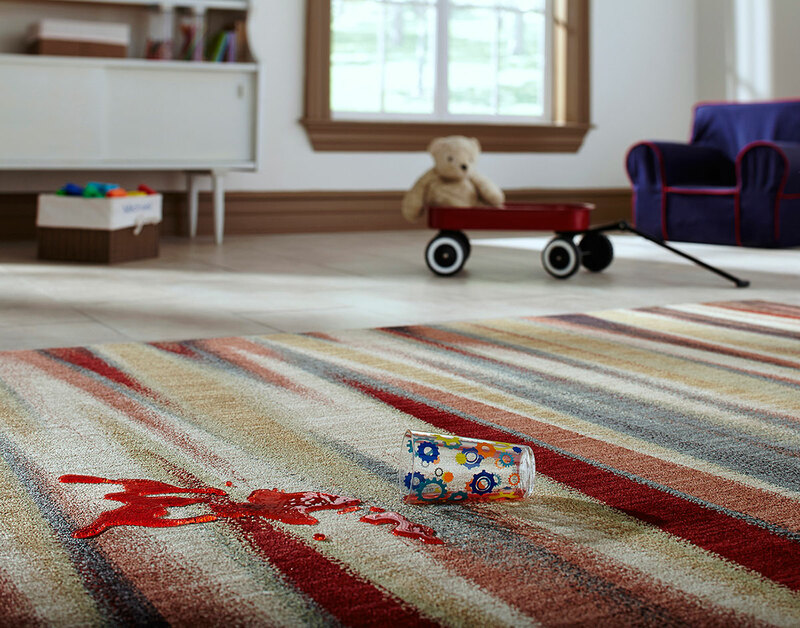 The sturdy construction of the rugs also guarantees that they can withstand the wear and tear of even the most high-traffic areas. How, then, to decorate with rugs? 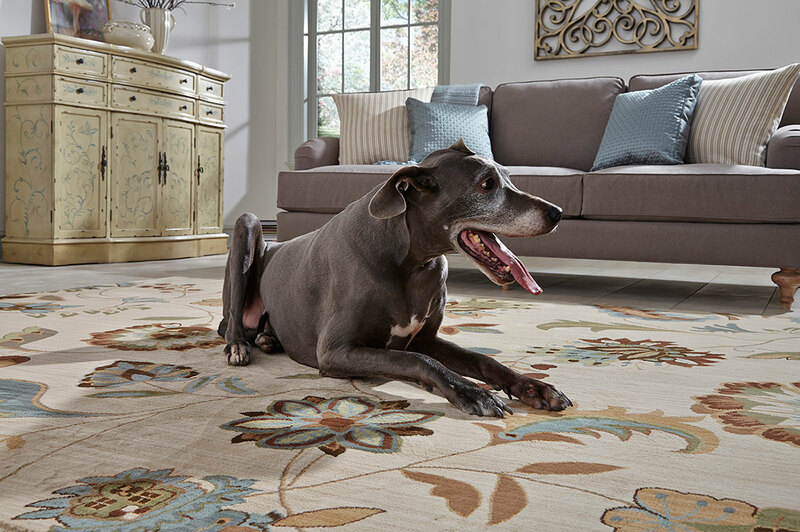 With careful consideration, even the most colorful and bold rug can assume its place in the three-part harmony of color, texture and pattern. Say, for example, that you want to build a room around a favorite sofa covered in large-scale floral upholstery. 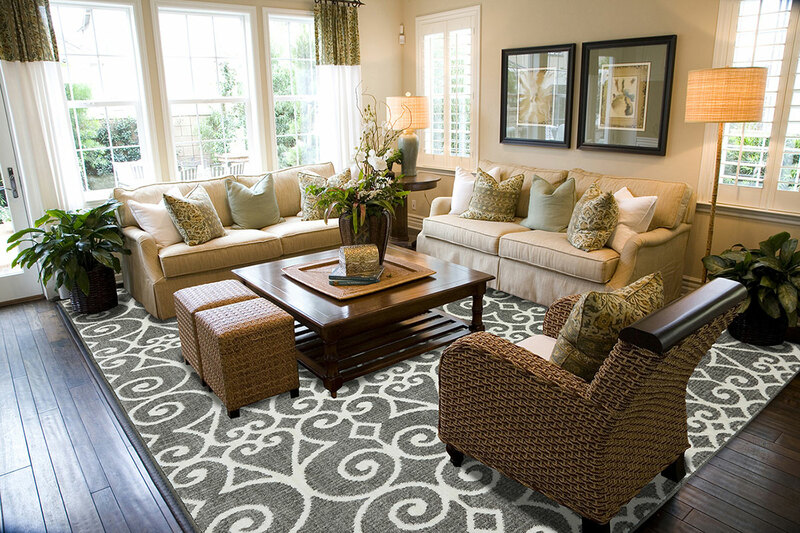 A rug with a small repeated geometric pattern would be a fine contrast. The key is to vary the scale of patterns. 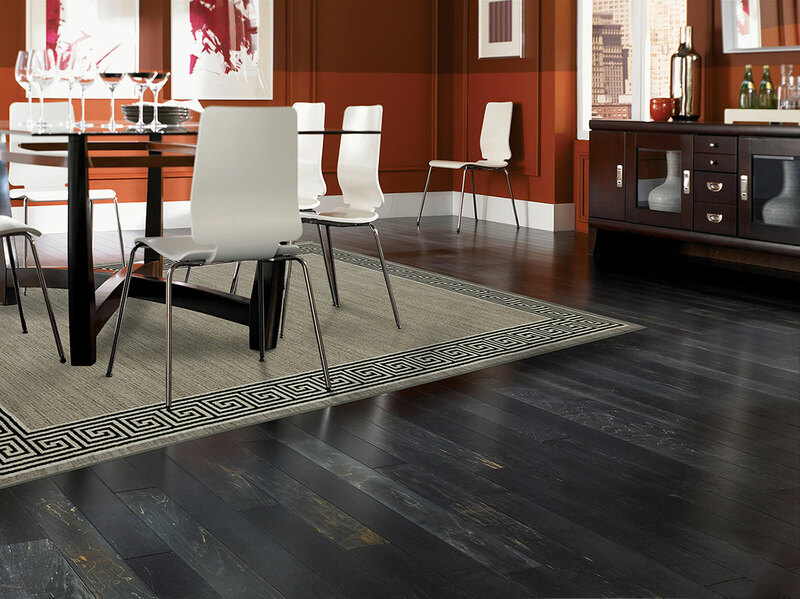 Such a rug might also complement a stripe or large-scale plaid. 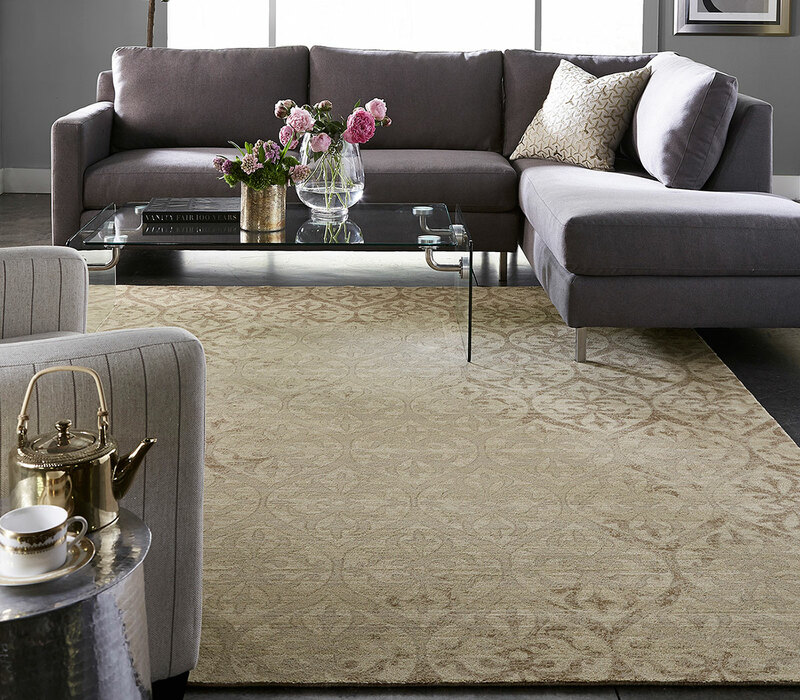 Conversely, with solid or mini-print upholstery, a strong ivory floral rug would provide the appropriate change of scale.